JLC Community Impact Grant RFP Process Is Open! As many of you know, the Junior League of Columbia is our practice’s philanthropy of choice. I have a long history with the League; several women on our team are active members, and some of my best friends and my wife are members or sustainers. Personally, my relationship with the women of the League has been fun, meaningful, impactful, and real. That said, the announcement below is some of where the business side of all this happens. Part of the beauty of our relationship with JLC that no one sees is that we know and trust that the JLC will be far more effective and deliberate with our funds than we ever could. As you can see in the link, the process is professionally administered, intensely deliberated on, and properly executed to the best candidates they see fit. In short, it is first class and done right. 1 – I want folks that work for, belong to, and/or believe in an organization that would like to know more about these potential funds and the process to be aware of them and apply. 2 – I want folks that are searching for a place to contribute in 2019 and beyond to consider the Junior League as just what you may be looking for. If you have any questions or would like to talk it out, I’m a very open book and can point you in the right direction. My number is 803-447-8683 . For more information, click here and check out the thorough application and process. The purpose of the JLC Community Impact Grant Program is to assist like-minded community partners in their efforts to improve lives in the greater Midlands area. The 2019-2020 Junior League of Columbia Community Impact Grant Request for Proposals is open. Last year, the Junior League of Columbia awarded $150,000 to Midlands’ organizations proposing transformational projects and initiatives of $25,000 or greater related to our mission and focus area and specifically addressing poverty and basic needs of children and families. Read more about our 2018 Community Impact Grant recipients. Please contact the committee at impactgrants@jlcolumbia.org if you have any questions. Lake Katharine Home Open Sun 2 – 4! 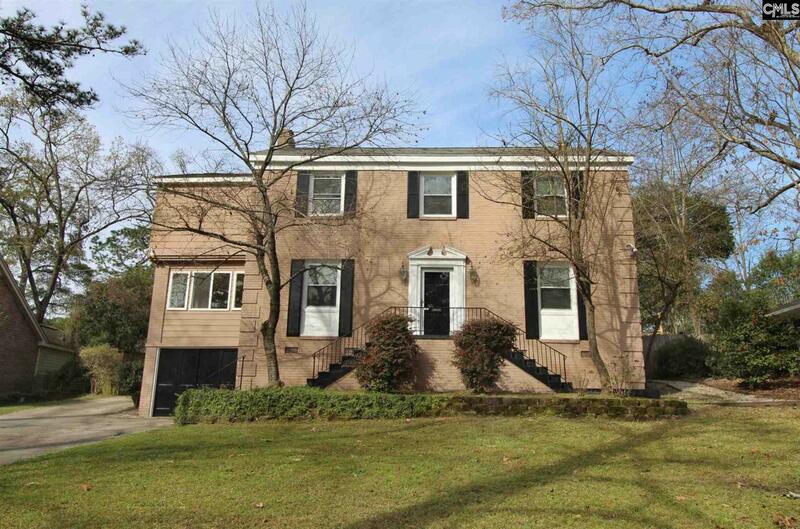 A few days ago we put 811 Arbutus Drive on the market in the super popular Lake Katharine – Cross Hill neighborhood. Why am I writing about it now, you ask? Sarah Penn will be hosting an Open House Sunday, March 17 from 2 – 4! 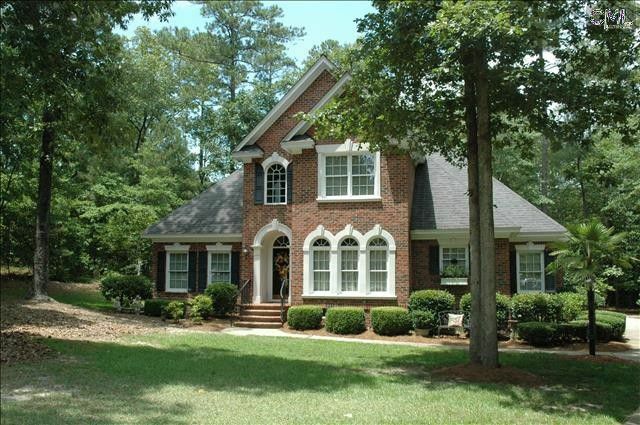 Arbutus has 3 bedrooms, 2 1/2 baths, tons of hardwoods, smooth ceilings, a big backyard, and a TENNIS WALL!!! Further, Arbutus is walking distance (or a short golf cart ride) from everything that is Cross Hill Market (Whole Foods, M Boutique). Further still, 811 Arbutus is zoned for Brennen, Crayton, A.C. Flora schools, and minutes to anything Downtown Columbia and Forest Acres. Come visit Sarah on Sunday and she can show you what’s what and tell you how awesome the neighborhood is! Check Out The Newest HotSheet! This edition of The HotSheet includes the most recent homes to hit Downtown Columbia, SC’s real estate market in the last two weeks. As of 12:50 AM, the fastest site in the industry is featuring 85 new listings for sale. 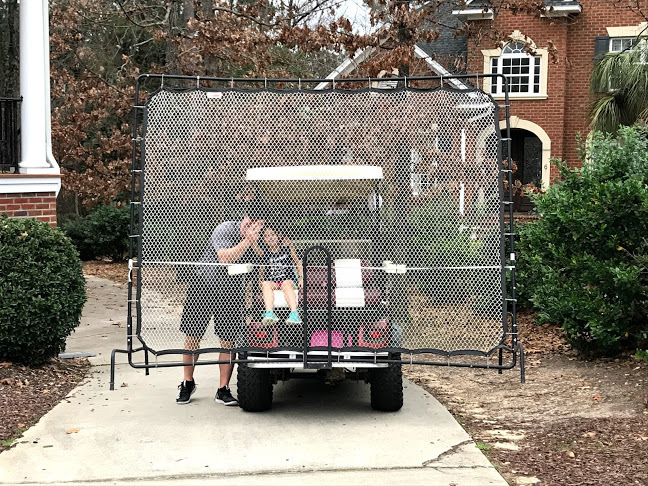 Daddy Opportunity: Lesson > Net. Having just finished a match, and just before the bottom was about to fall out of the sky, I thought, “Damn’t..,” and responded that I would be there in a few minutes. “Perfect!,” she responds. Hmmm….it was cold and starting to rain, so I had to act quickly. 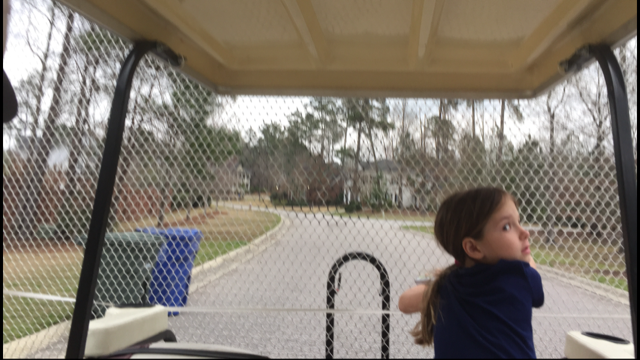 Suburban, golf cart, or just throw it in the neighborhood woods to pick up later…? Finley was out and about and Jen and Ivey were on their way back from a friend’s house. Fast forward to our trip and my Nora stepped up without a flinch. When we arrived Mrs. Barbie was awesome and Mr. John Eric turned the corner and snapped a zip-tie for insurance. We strapped Nora in a seat belt and she kept the screen in check, cold and wet, weaving through traffic, the whole way to the house. In all, it was a fantastic experience with one of my girls. While Nora doesn’t own the net for herself, it is very well known amongst our fam that we wouldn’t have it without her help on Sunday. The experience was (and still is) a good lesson learned about attitude and effort. Thank you, John Eric, Barbie…and NORA JONES! 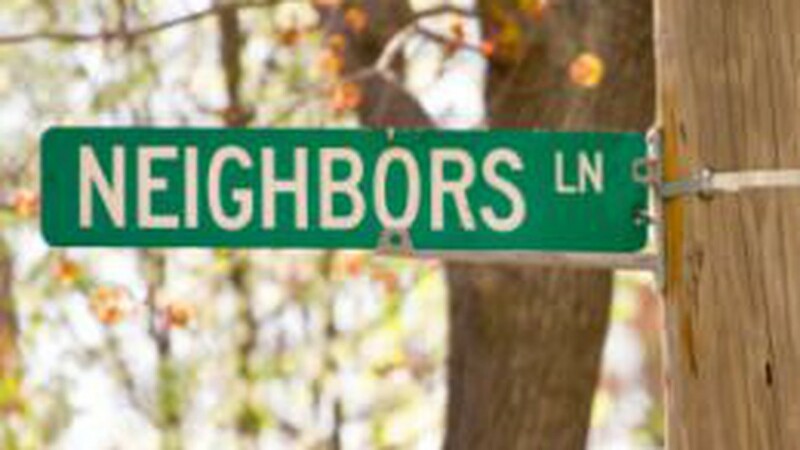 What Sold In Your Neighborhood? Below is a list of the latest property transfers as reported by The State Newspaper. As you can see, the list is by county, zip code, then the street address of properties that have transferred. Let us know if you would like to be on this list as a buyer or seller! My number is 803-447-8683 and email is Franklin@TheNeighborhoodRE.com. More Feb. 2019 Property Transfers! Check The Latest Property Transfers! King’s Grant Drive – $399K. Heads up to blog readers ==> Late Wed. afternoon REALTOR friend, Dusty Conine, with The Conine Group, put 318 N. King’s Grant Dr. on the market. Some of you may recognize the property being for sale, previously, in one of Downtown Columbia’s most popular neighborhoods. At 3,300 sq. feet., quick math puts the asking price at $121./ft. which is super low for King’s Grant Neighborhood. If you or anyone you know would like to know more about this KG home that backs up to five lighted tennis courts and the neighborhood pool (which is kinda awesome & very convenient IMO), please call or text 803-447-8683 and/or email Franklin@TheNeighborhoodRE.com …and thanks to Dusty for letting me post up about his new listing. 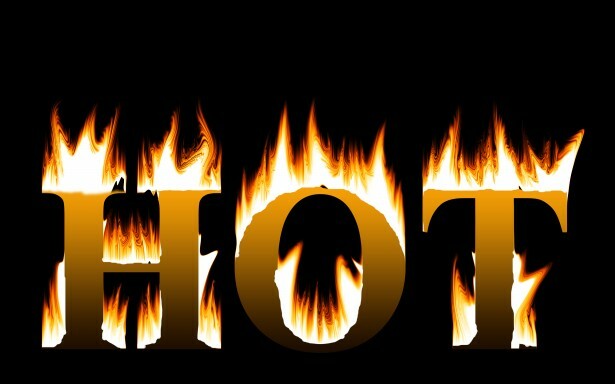 Check Out The Latest HotSheet! This edition of The HotSheet includes the most recent homes to hit Downtown Columbia, SC’s real estate market in the last two weeks. As of 12:50 AM, the fastest site in the industry is featuring 55 new listings for sale. If you or anyone you know would like more information about any of these Downtown properties for sale, or if you’re interested in putting your home on the market, please call 803-447-8683 or email Franklin@TheNeighborhoodRE.com . Monday afternoon I was in a rather familiar place; the SC Statehouse. 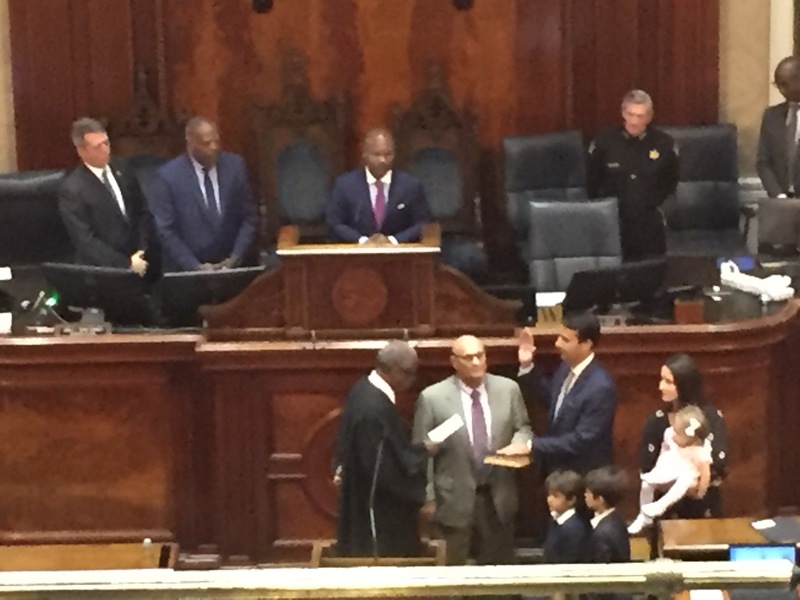 This time, I was there to celebrate and congratulate my friend, Seth Rose, at his swearing-in ceremony to the South Carolina House of Representatives. My first introduction to Seth was through his sister-in-law, Amy Ackerman Cartin. Amy and I had been working together for a few years and she knew I wanted to get better at tennis. Also, she knew I was somewhat involved (or at least knowledgeable) in local politics and Seth was thinking of entering the arena. Fast forward through a few text messages and I met Seth at the USC courts for a lesson. I had a tennis racquet in my hand and $35.00 for him in my sock. Of course, he had me on the side of the corner court that celebrates his name as an All-American USC tennis player. He was so fired up. My second relationship with Seth is my profession (not tennis). I can still remember Seth and Anna wanting to purchase a 2/1 home in Shandon whereby I didn’t think it was a good fit for their current situation. I told both of them not to buy a particular house. Not because it wasn’t a cute and awesome…I just knew they would grow out of it immediately. With ants in their pants, they bought it anyway. It’s a long and fine story but Anna, Seth, and Amy are all proud of what happened and our relationship was cemented in trust. Seth is intense. I can remember one Saturday when his in-laws had a backup contract on a house for sale. He called and texted on a Saturday morning AAALLLL fired up. This may be gross, but truth told I hadn’t even peed yet and, horizontally, I told him as much. Further, the listing agent, the late great Rhett Wolfe hadn’t peed either and nothing Seth wanted to have happen, could have happened before then. Still, it stuck in my mind and I’m typing about it now. Tuesday afternoon, in the well of the House of Representatives, I saw two candidates that I ran alongside in 1996 (Remember the Thurmond vs Close year?). James Smith and Leon Lott first ran for office in ’96. They won and I lost (against Henry McMaster’s brother, Joe). I learned a few things from that experience: 1 – Sometimes you win, even though you lose (James actually mentioned this in his speech introducing Seth): 2 – If you run for office once, you’re considered a candidate for other vacancies and opportunities for years to come. Fast forward a few years – When all that junk happened with then Lt. Gov. Ken Ard, that ultimately created the Ard, McConnell, Courson scenario, we thought Rep. James Smith and Rep. Nathan Ballentine would run for Courson’s Senate seat, leaving Smith’s House District’s 72 seat open. At the time I lived on Wilmot Ave., smack in the middle of Shandon. My phone was ringing. While we were on the phone together I can remember a comment from Seth quoting his wife in the background, “She said, ‘I don’t want to run against Franklin. We’re friends’.” Seth and I continued on and I told him I wasn’t doing it. Who knows…we could have duked it out and whatnot but James kept his seat and that was that. Seth’s personality is contagious, infectious, and can be tenacious. He also has the wherewithal to do what he thinks is right and if someone is mad about it, they will just need to huff and simmer. I’m getting long here and I have funny stories everywhere but Seth has a superpower outside of work-ethic, charm, and tact: Her name is Anna Cartin Rose. Well done, Seth Rose! I’m proud of you, my friend!